Lancashire born Tez started comedy in 2010 and hit the ground running, finding himself in no less than eight competition finals, including the prestigious BBC New Comedy Award. Since then Tez has risen up the ranks quickly and now regularly performs at the UK’s leading live comedy venues including: Up the Creek, Downstairs at the King’s Head, Jongleurs, Highlight, Comedy Cafe, Top Secret Comedy, Piccadilly Comedy Club and The Frog & Bucket. In 2013, Tez was selected for the coveted month long Pleasance showcase – The Comedy Reserve – at the Edinburgh Fringe Festival. 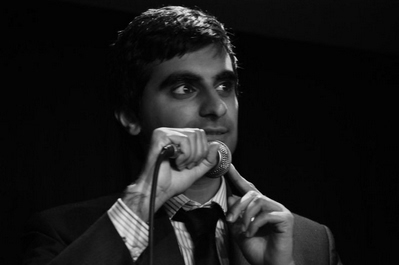 With his sharp wit and charmingly cheeky onstage persona, Tez Ilyas is one of the hottest rising stars on the circuit.